Set in a steep wooded valley, very sheltered and no mobile phone signal (superb!). 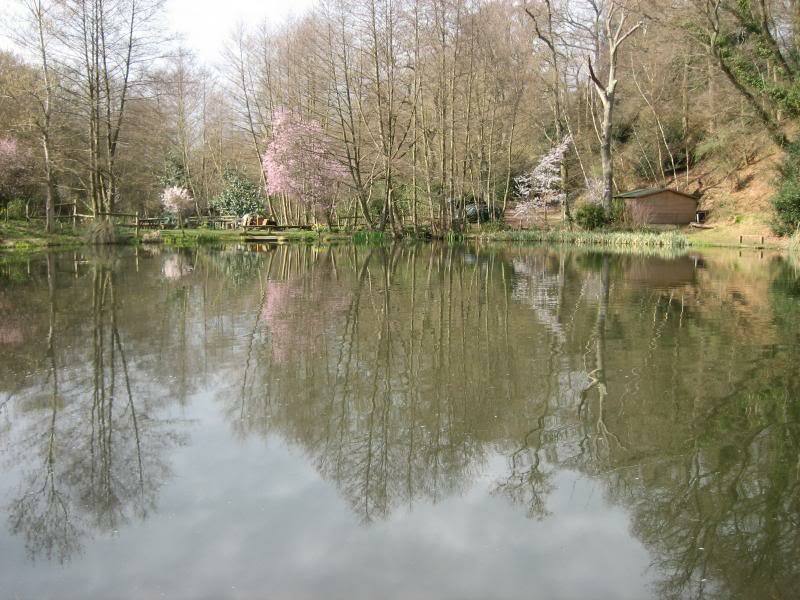 A series of small inter-connected ponds with loads of character offering both Catch & Keep and Catch & Release. 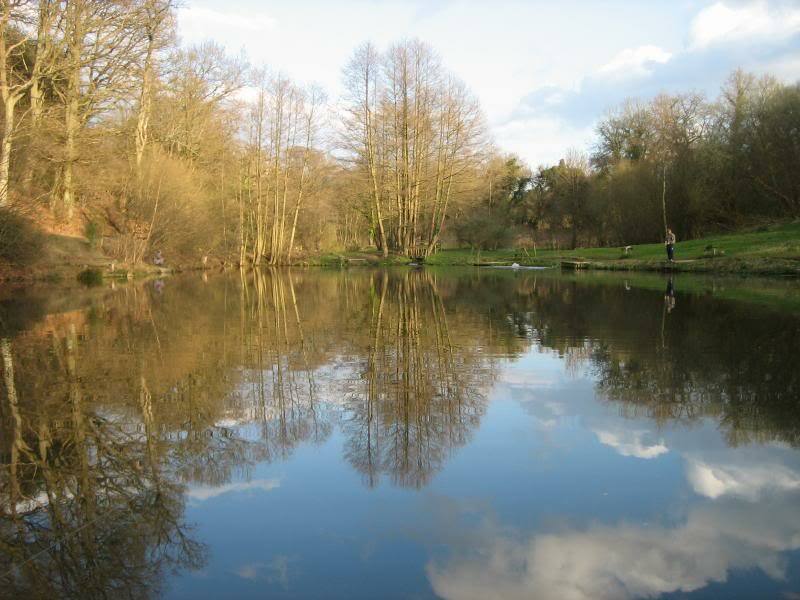 A couple of the ponds are very, very small but worth a dabble as there are some decent fish to be had in all of them. Good conditioned fish that fight hard. There can be problems with backcast room as the flaura & fauna tends to be somewhat dense in high summer, but there again, you don't need to cast too far. 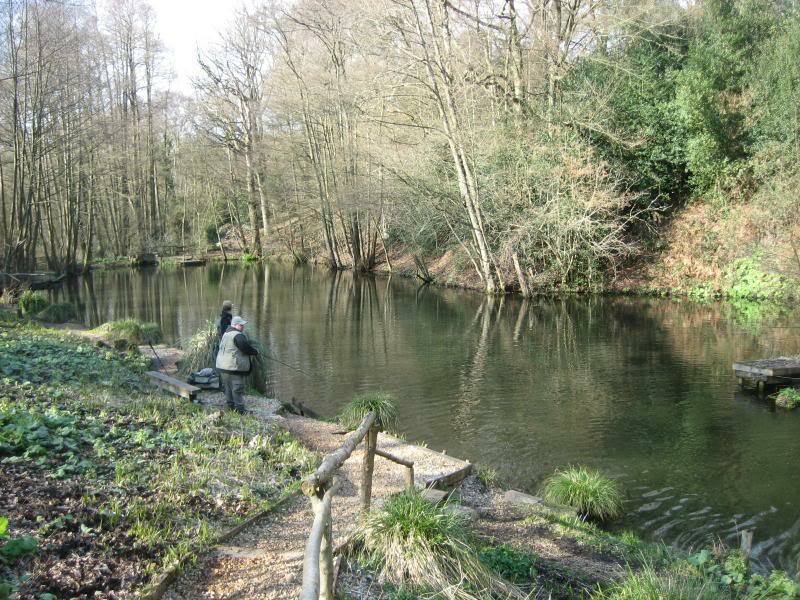 Good little fishery, great for me as it's "just up the road" but could be ideal for a beginner who wants that first trout on the fly. Doesn't that look incredibly pretty....ideal spot to perfect your roll cast. Haven't fished it to date but it looks as if I will have to give it a try. 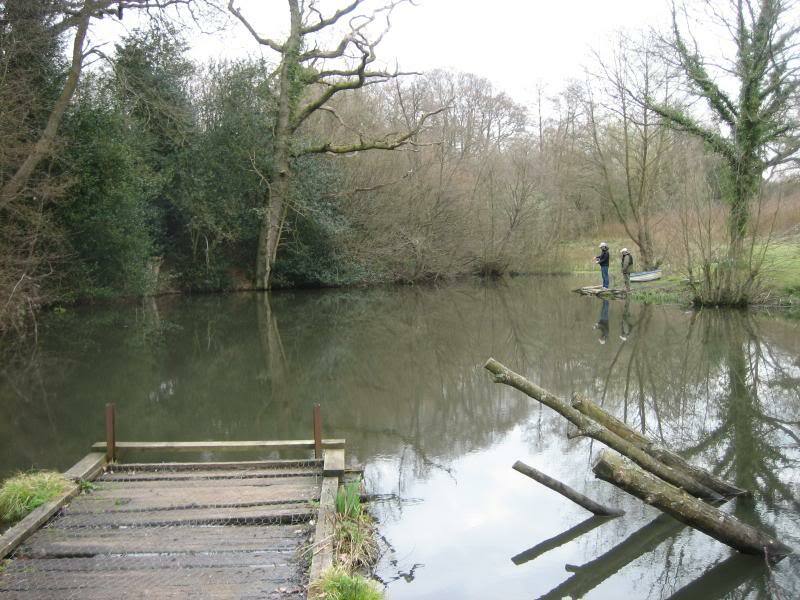 Thank you Neil for highlighting the fishery with a good report. Just seen this post .I fished robinswood on boxing day morning with my father and had 8 all on egg fly biggest about 3 1/2 to 4lb there was ice on one of the ponds but it didn't seem to matter everyone caught fish .Its a great little fishery for someone like me that doesn't go to often Ive always caught there. As small stillwaters go, I've found this to be one of the better ones i've fished. Took my first steps into flyfishing here a few years ago, and probably find myself here once a year when i take a break from the saltwater or the rivers for pike/grayling/trout. I'm also just down the road having moved out of London last year. It always pays to keep moving here, and I very rarely fish the open side of the main lake - leave this to the people who like to park themselves in one spot all day. Plenty of fish in all the pools, and a generous average size, though you do see a few with poor fins. Virtually any method can work, and there is a lot of insect life, including an impressive mayfly hatch in late May/June. I've caught here when there has been ice in parts, and also on very hot days - just don't get preoccupied with the fish you can see in the main lake. The fishery sits in a wooded valley, so is a good bet even in pretty bad weather, and there is always shade in summer. Something i like to do is to head up to the top of the top lake and fish for the wild brownies where the stream comes in. They can be found in all the ponds, but the top feels more like my kind of fishing as it's really overgrown, no room to cast, just flicks and roll casts, and you can creep up close and really watch the fish and see them take/reject the fly. You can also do this on a lot of the small streams locally with surprising results! It is a small place, so weekdays are better than weekends, and worth calling in advance on the off chance there is any kind of group booking. Worth a visit if small stillwaters is your thing.